Erin is a 1992 graduate of Mercyhurst Prep, she continued her education at Tony & Guy Beauty Academy completing her studies and graduating in 2000. She was a stylist at Coventina Day Spa in Waterford (2000-2005), and the Empyrean Day Spa in Edinboro (2005-2011), until opening Erin’s Hair Garage in March of 2011. 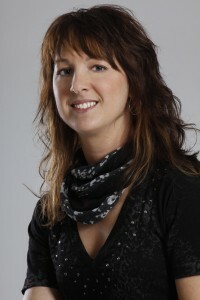 Erin has also been a Matrix Artistic Educator since 2008, training stylists in Western PA and NY. 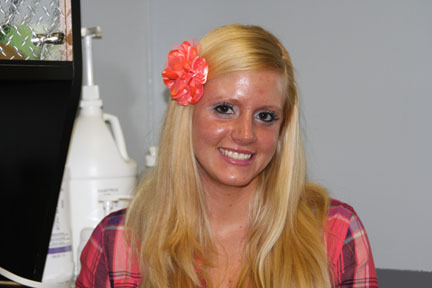 Erin’s dream was to have a salon that everyone, men, women, and children, would be comfortable in and have fun visiting. Her very unique garage theme hits the mark. From the tool chest work stations to the 50″ flat screen TV, it somehow all comes together with the pedispa, dryers, nail station, and matching salon chairs. Michaela is from Cambridge Springs, and is a graduate of Ft LeBoeuf High School and Erie County Technical School. Michaela began her career at the Hair Garage in July 2013, and in October 2013, Erin welcomed her as a full time permanent stylist.